Few online businesses are lucky enough to never have to go through a domain change. Maybe the perfect domain name you always wanted finally became available, or you are rebranding and have to reinvent your online presence as a result? Whatever the reason, the domain change is upon you, and retaining the positive rankings and reputation of your old website is of high priority. 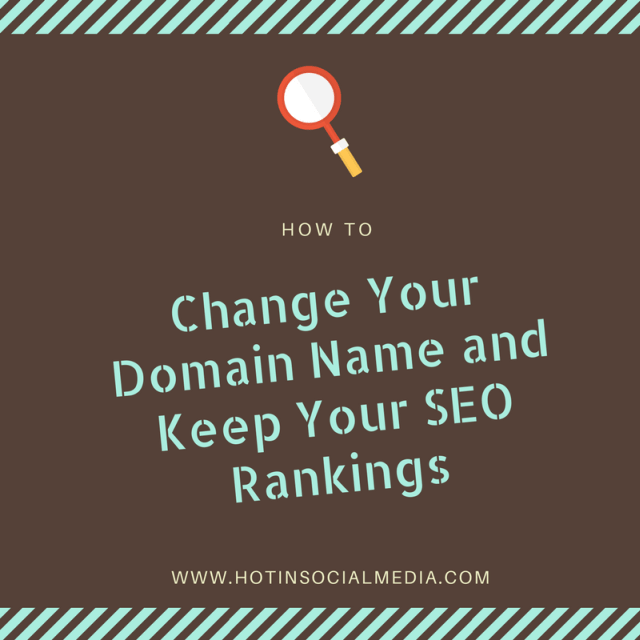 In this post, we will offer some search agency wisdom on how to change your domain name and keep your SEO rankings or how to bring all the good and none of the bad into your new online home. To start the migration process with a thorough understanding of your online reputation and to establish a benchmark against which you will measure your new domain’s performance, conduct a deep audit of your web stats. In there, take a close look at your current inbound links as they are a major factor in your current ranking positions. You can export the list of inbound links Google recognizes if you go to Google Search Console and click through to “Search Traffic” and then “Links to Your Site”. A search engine consultant would also recommend you to use an independent tool to review your domain’s link portfolio, which may provide you with additional information about the link quality and spread. Ideally, you would use both options and compare the outcomes. The other part of your audit concerns the keywords which drive traffic to your old domain. Google Webmaster Tools is fine for a general overview, but here again, a third party tool such as Moz or search metrics would be far better for a more thorough analysis. You want search engines to start recognizing your new domain name as quickly as possible, and you can enhance the process by converting your empty, “parked” domain to a working version of your new official website before the real migration begins. You can already set up the top-level structure or even add a sole landing page with a single sentence like, “This is the new homepage of XYZ. Stay tuned, our new website is coming soon!” Un-parking the new domain and associating it with your business already puts it on search engines’ radars and prepares your website for the big move. Once ready, you will need to permanently redirect your old website pages to your new website pages with a thorough redirection plan (otherwise knows as a 301 redirection). Any good search engine consultant will advise to be very systematic with this stage and download every single page and link on your old website to work out where they need to be redirected to. Ideally- and if you can- trying to retain the same URL structure will help to simplify this stage. Resist the urge to mass redirect many old pages to your new homepage, as Google will treat this as a “soft 404 error”. In general, follow the golden principle to direct users where they expect to go. Search agency professionals will tell you that this keeps both Google and your users happy. Apart from your 301 redirection plan, you should also notify Google of the domain change via the Webmaster Tools. View this as something similar to redirecting your mail after you’ve moved house! After you have migrated and checked that the new website works well, you can make the official announcement and have additional assurance that Google has been made aware of the change. You will also need to implement the final robots.txt and update the sitemap.xml. Finally, each URL should be tested based on the redirection map to ensure there are no errors. If pages do not redirect correctly, you can also check with your hosting company if there any issues at their end that need to be addressed (more often than not, there will be!). Migrating domains can be daunting as there are many elements to be taken into account and so many things can go wrong. However, your success will be based on two things: ensuring that you have consistent, systematic and thorough plan with the right SEO company, and secondly that you split the exercise into 3 distinct phases: pre-launch (data gathering/ planning), launch (implementation and testing) and post-launch (more testing!). After all, everything is much easier if broken into digestible steps.